Having a cozy fire on those cold and chilly nights is delightful. But the charm quickly ends when you realize that you need to wait for the fire to burn out before you go to bed; especially for wooden fire. You see, if left unattended, a wooden fire is not safe like gas fires which can be turned on and off. Which is where the fire-place glass doors come into play. The Pleasant Hearth The Arrington fireplace glass door is one of those things that you don’t think you really need until you use it. It merges style and function seamlessly and answers the questions of many home owners. The 1-piece welded frame and the clear tampered safety glass that make up the Arrington Fireplace glass door are constructed in a way that they are compatible with almost every traditional masonry fireplaces. 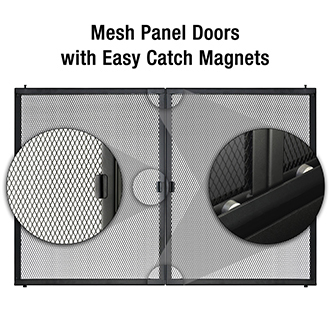 The bi-folded glass doors are fitted with easy catch magnets and rigid mesh panels to make sure that they stay in place and close firmly when they are not in use. To ensure that they regulate the amount of heat from the fire, they are made using a heavy gauge steel 1-inch welded frame with grip handles and air damper control slide. One of the most outspoken properties of the Pleasant Hearth the Arrington fireplace glass door is its ability to reduce almost 90% heat loss when the fireplace is not in use. And this is made possible by the heat-resistant thick insulation that is included. This rounds up to an annual saving in energy that would have been wasted when the fireplace was not in use. 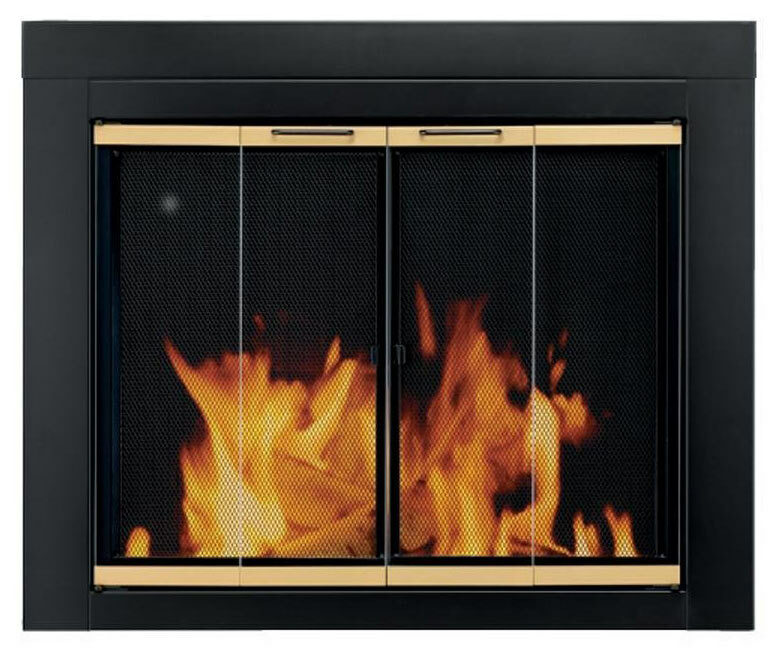 The thick easy-grip handles allow you to open the 3/16 inch clear tempered glass doors which open up to 180 degrees to allow you to have a full view of the entire fireplace. The installation is simple (follow 3 simple steps) as this package comes fully assembled with only the handles that need to be fitted. When it comes to the Arrington Fireplace doors, there are three most common questions from consumers. From the positive customer feedback, it is clear that this product is very durable. The materials that are used to make the fireplace are of high quality to withstand heat up to a very high degree. You can rest assured that the Arrington fireplace will last for a long time before you ultimately decide to replace. From the easy installation process to the actual use, the fireplace is made in a way that anyone can use. Once you follow the simple steps and instructions outlined in the manual, you will not need assistance from a professional. The fireplace doors are constructed in a way that is practical to everyone. The dimensions of the doors vary. The Arrington fireplace doors are specially constructed to fit almost every traditional masonry fireplace of between 30 to 37 inches width and 22 1/2 to 29 1/2 inches of height. The Arrington fireplace glass door, like any other product out there, has its benefits and some shortcomings according to the consumers. 1. The main advantage is its ability to retain up to 90% of the heat that would in other circumstances be wasted when the fireplace is not in use. This means that you are able to save on energy and resources. 2. The customer care is quick and responsive to all issues and questions. 3. The product is good-looking and is guaranteed to add an accent of elegance to your decor and to the boring brick fireplace. 4. The installation process is simple to understand and follow. 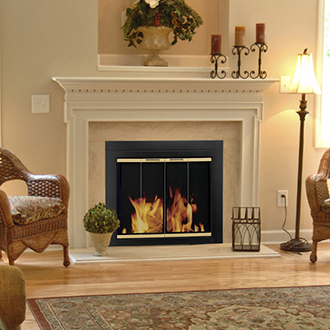 You are able to install it yourself without the need to hire a fireplace store to install professionally. Therefore saving you money. 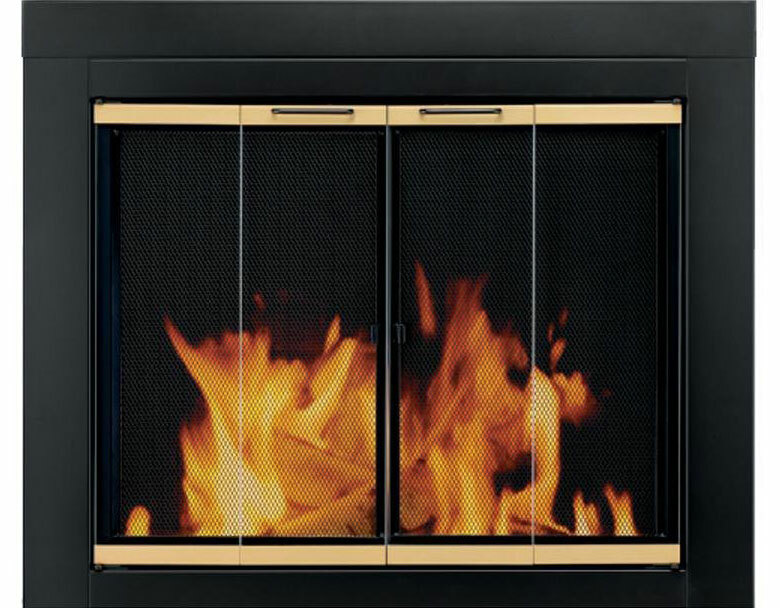 Unlike many products, this fireplace glass door has received very little complaint from the consumers. This does not, however, suggest that this product is perfect without flaws. On the contrary, some consumers find it quite disconcerting that small fireplaces are in many cases not able to fit the glass doors well and this will make the product not able to insulate well. Another shortcoming is the fact that this product is only meant for traditional masonry fireplaces; meaning that the more modern re-constructed fireplaces cannot enjoy the product. The Arrington fireplace glass doors have generally received a positive feedback from many of the customers out there. A nice clean crisp design combined with it’s functionality it gets a thumbs up from us.